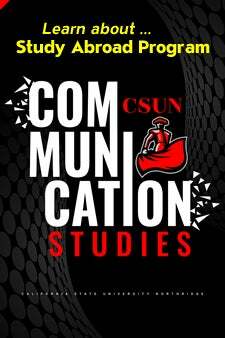 If you do not understand why we call ourselves the Department of Communication Studies and not Communications, you will after reading the following paragraphs. The term “communication” reflects our department’s focus and approach to communication—which simply means the process by which humans use symbols, verbal and nonverbal, to create meaning and form relationships with other humans within a variety of contexts, cultures, and mediated environments. This definition of Communication is the essence of what we teach, research, and do in our department through Performance Studies, Rhetorical Studies, and Communication Science. NOTE: The paragraphs above were slightly modified from the Department of Communication Studies at Cornell University and it provides an accurate and adequate answer to why we use Communication and NOT Communications. Please refer to Faculty Office Hours & Faculty Advisors' Schedule located in the main office to set up an appointment.